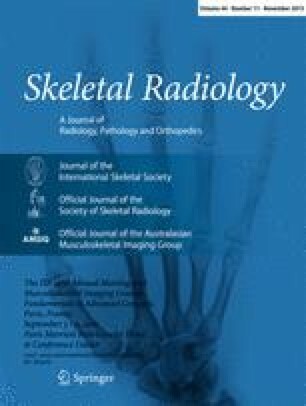 To evaluate the ability of proton-density with fat-suppression BLADE (proprietary name for periodically rotated overlapping parallel lines with enhanced reconstruction in MR systems from Siemens Healthcare, PDFS BLADE) and turbo inversion recovery magnitude-BLADE (TIRM BLADE) sequences to reduce motion and pulsation artifacts in shoulder magnetic resonance examinations. Forty-one consecutive patients who had been routinely scanned for shoulder examination participated in the study. The following pairs of sequences with and without BLADE were compared: (a) Oblique coronal proton-density sequence with fat saturation of 25 patients and (b) oblique sagittal T2 TIRM-weighed sequence of 20 patients. Qualitative analysis was performed by two experienced radiologists. Image motion and pulsation artifacts were also evaluated. In oblique coronal PDFS BLADE sequences, motion artifacts have been significantly eliminated, even in five cases of non-diagnostic value with conventional imaging. Similarly, in oblique sagittal T2 TIRM BLADE sequences, image quality has been improved, even in six cases of non-diagnostic value with conventional imaging. Furthermore, flow artifacts have been improved in more than 80% of all the cases. The use of BLADE sequences is recommended in shoulder imaging, especially in uncooperative patients because it effectively eliminates motion and pulsation artifacts.